Bluetooth is all around us. Our cars have it, our mobile phones have it; even our fitness wristbands have it. But do you know what it is? We do. It’s a sophisticated form of radio with a range of about 32 feet (10 meters). When you connect your iPhone to the audio system in your car, your phone broadcasts a radio signal that your car receives. When you sync the fitness band on your wrist to your Android phone, the band emits a radio signal that your phone receives. The trick is to make sure that no one else receives that signal—or else you’ll be listening to the Metallica song the guy in the next car is listening to instead of your audio book. The next question: How do the devices keep from interfering with each other? Once the two devices have agreed to communicate, they work together to hop from wavelength to wavelength 1,600 times per second. There’s virtually no chance of another Bluetooth “radio” within 32 feet jumping to exactly the same wavelengths at the exact same time—that’s how one Bluetooth device talks to another without interference. TimePilot Extreme Blue and Extreme Blue Enhanced use Bluetooth to transfer the data they collect to your smartphone. When you tap the gray management iButton to the clock, the Bluetooth transmitter inside starts broadcasting a signal. In essence, it’s looking for a partner. When you start the TimePilot app on your phone, it also broadcasts a signal, and the two devices check to make sure they’re authorized to communicate with each other. If they are, they connect. Why do you have to tap the gray iButton to the clock? It’s a matter of power. That’s why you don’t see many standalone devices using Bluetooth: either they’re plugged into a wall socket or—like smartphones—they’re recharged frequently. That may change soon: A new kind of Bluetooth, called Bluetooth Low Energy, has been developed to enable small devices running off tiny watch batteries to run for months. The technology is named after a 10th Century Danish king, Harold Bluetooth, who united warring groups in Scandinavia. 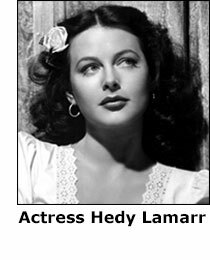 The “frequency-hopping” process that’s so important to Bluetooth technology was developed by 1940s movie star Hedy Lamarr. Lamarr and composer George Anthiel used frequency-hopping technology to invent a torpedo that was immune to German jamming in World War II. Lamarr held numerous patents and is in the National Inventors Hall of Fame.